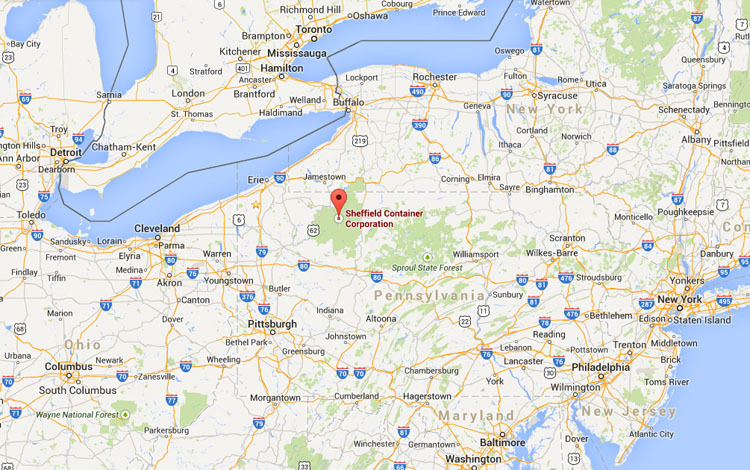 Sheffield Container was founded in October of 1960 in Sheffield, Pennsylvania. We located in the heart of the Allegheny National Forest due to the availability of many hardwoods we use in manufacturing. Originally, we made wooden boxes, skids, and panel crates for a wide variety of industries. In 1965 we started producing corrugated containers and combination wood and corrugated packaging. Soon after that we entered into manufacturing of wirebound boxes. Finally, we installed heat treating equipment to comply with ISPM 15 requirements. We deliver packaging to our home state of Pennysvania, neighboring states and across the country. Industries served include castings, stampings, cast iron boiler manufacturers, refrigeration equipment - virtually anything requiring protective and sturdy packaging. We take great pride in being able to supply a quality product at a competitive price. Deliveries are made with our own fleet of trucks or as our customers require. We maintain inventory for J.I.T. requirements. We will work with you in the design of your packaging, and look forward to quoting on your packaging needs. yet close access to interstate highways and major markets.